The key to updating all of your social media accounts using email is to use an automation service like IFTTT. You can set up several different applets for different types of posts on Twitter and Facebook. Once you’ve done this, you’ll only need to send one email to update both social networks. To post your updates, just send an email to trigger@ifttt.com from the email associated with your IFTTT account. For the “that” in your applet, select Twitter and choose the action Post a tweet. For your ingredients, you can keep the default settings of body and attachment. 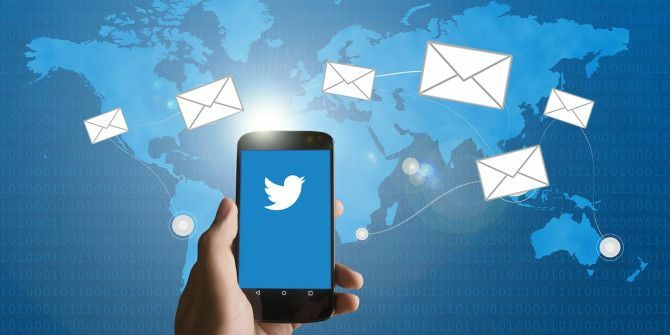 This means any text you place in the body of the email will appear in your tweet and any files that are attached will appear as an IFTTT link. Next, go back to My Applets and click the New Applet button. For the “this” in your IFTTT applet, use the same settings as above. For the “that”, however, select Facebook and choose Create a Status Message. For your ingredients, select body. Any text in the body of your email will be included in your status update. If you want to include images to appear in your tweets without your followers having to click a link, or if you want to include attached links in Facebook, you’re going to have to create separate applets. Go to My Applets and click the New Applet button. For the “this” in your IFTTT applet, select Email (not Gmail) and choose Send IFTTT an email tagged as your trigger. You can choose any word for your tag — I used “image”. For the “that” in the applet, select Twitter and choose the action Post a tweet. For your ingredients, you can keep the default settings for the Image URL as AttachmentURL and keep the message ingredient as body. This means any text you place in the body of the email will appear in your tweet and the attached image will appear in your tweet. Next, go back to My Applets and click the New Applet button. For the “this” in your IFTTT applet, use the same settings as above. For the “that” in the applet, select Facebook and choose the action Upload a photo from URL. For your ingredients, you can again keep the default settings for the Photo URL as AttachmentURL and keep the message ingredient as body. When creating your email, put your hashtag in the subject, attach the photo, and add the text you want to include in the body of your email. Go to My Applets and click the New Applet button. For the “this” in your IFTTT applet, select Email (not Gmail) and choose Send IFTTT an email tagged as your trigger. You can choose any word for your tag — I used “link”. This tag will be included in the subject of your email preceded by a hashtag (#). For the “that” in the applet, select Facebook and choose the action Create a link post. For your ingredients, you can keep the default settings for the link URL as body. For the message, add the ingredient body. When creating your email, put your hashtag followed by a space and the link you want to share, and the text you want to include in the body of your email. The link will appear on Facebook as an embedded link with a title and featured image, rather than just a text URL in the body of your status update. There are some drawbacks to consider when using this method. On Facebook, any custom filters you use for sharing content on Facebook only with certain friends will be ignored. Sending posts to Facebook using IFTTT means that all of your friends will see the posts. And anything posted to both social networks at the same time will be subject to Twitter’s 140-character limit. Do you prefer to update Facebook and Twitter simultaneously or separately? What methods do you prefer to use? Let us know in the comments. Explore more about: Email Tips, Facebook, IFTTT, Twitter. How to Change Which Facebook Friends Can See You OnlineData Selfie: How Much Does Facebook Actually Know About You?